What's the first name that comes to mind when you talk about online video? For most people that would be YouTube. This celebrated video site is, after all, the one to beat as far as all things Internet video are concerned. However, the scene isn't quite so wide open anymore, as a number of other sites have come up offering the venerable YouTube some serious challenge. The most “visible”–pardon the pun–of these is Hulu, and already the site is etching away at the formidable YouTube’s massive base. Does Hulu have what it takes to make a strong showing? Stay tuned below! YouTube hardly needs any introduction, as it is the website that has made online video a household name. Allowing any user to upload video and have it viewed by anyone on the Internet, YouTube is a definite pioneer in a field that is now populated by numerous competitors. 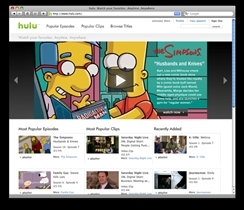 Hulu is one of YouTube’s main competitors and its thrust is aimed at providing high quality and up-to-date content. This content is primarily made up of full-length television shows and movies. 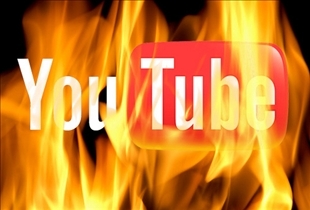 YouTube has had trouble funding its operations recently, and some estimates place potential losses at $470 million in 2009-2010. Hulu has its own problems as well, with the biggest one is being limited to the U.S. market. Even if Hulu does manage to go international, the question remains as to whether or not it will be able to finance a global operation. As it stands however, Hulu currently has a better revenue-per-viewer ratio than YouTube. In terms of full length pickings, YouTube is definitely beaten out by Hulu, which after all is built on the premise providing quality full length content. With the meager full length selection offered by YouTube, Hulu has a wide open field that it populates with top rated TV shows and movies. In addition, the Hulu video experience is a comparative joy to behold, and is as close as you could get to watching TV on the Internet…certainly a lot closer than the experience that YouTube provides. All that is set to change however, when YouTube finally rolls out the red carpet for what it says will be the widest selection of high-definition video “on the planet". And with YouTube’s huge audience, that is a development worth keeping an eye on. Which video website do you like?